Wallpaper is back, and better than ever with designs, colors, and textures like never before. Use bold patterns in the powder room for an unexpected WOW for your guests. Install a rich color or texture on your bed wall for a some drama in a private space. Choose an updated Grasscloth in your entry or dining room to add a sophisticated backdrop. Try turning a traditional stripe on it's side or use it on the ceiling. Interior Design is most successful when it celebrates our individuality and functions well with our lifestyle. 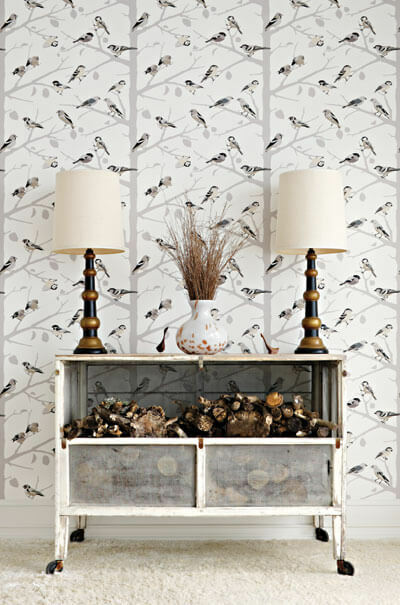 Use wallcovering to individualize your next project.